PYONGYANG, North Korea (AP) — South Korean President Moon Jae-in arrived in North Korea on Tuesday for his third and possibly most challenging summit yet with leader Kim Jong Un in which he hopes to break an impasse in talks with the United States over the North’s denuclearization and breathe energy into his own efforts to expand and improve relations between the Koreas. In what are by now familiar images of the two Korean leaders hugging and exchanging warm smiles, Kim greeted Moon at Pyongyang’s airport. They have met twice this year at the border village of Panmunjom, but Moon’s visit is the first by a South Korean leader to the North Korean capital in 11 years. Traveling with Moon are business tycoons including Samsung scion Lee Jae-yong, underscoring Moon’s hopes to expand cross-border business projects. Currently, all major joint projects between the Koreas are stalled because of U.S.-led sanctions. Moon was expected to have talks with Kim on Tuesday and Wednesday, according to Moon’s chief of staff. Moon and Kim were also expected to jointly announce the results of their talks on Wednesday if things go smoothly. Moon is to return to Seoul on Thursday. As Moon arrived, the North’s main newspaper said the United States was responsible for the lack of progress in denuclearization talks. State-run media reported Moon was to begin a visit, but gave few details. Security was tight all morning. Requests by The Associated Press to go to the airport or to drive around the city were denied. Moon is under intense pressure from Washington to advance the denuclearization process. Before his departure he said he intends to push for “irreversible, permanent peace” and for better dialogue between Pyongyang and Washington. But his chief of staff tried to lower expectations of major progress on the future of Kim’s nuclear arsenal. Kim, meanwhile, is seemingly riding a wave of success. The North just completed an elaborate celebration replete with a military parade and huge rallies across the country to mark North Korea’s 70th anniversary. China, signaling its support for Kim’s recent diplomatic moves, sent its third-highest party official to those festivities. That’s important because China is the North’s biggest economic partner and is an important political counterbalance to the United States. North Korea maintains that it has developed its nuclear weapons to the point that it can now defend itself against a potential U.S. attack, and can now shift its focus to economic development and improved ties with the South. While signaling his willingness to talk with Washington, Kim’s strategy has been to try to elbow the U.S. away from Seoul so that the two Koreas can take the lead in deciding how to bring peace and stability to their peninsula. Talks between the United States and North Korea, which Moon brokered through his April and May summits with Kim, have stalled since Kim’s meeting with President Donald Trump in Singapore in June. North Korea has taken some steps, like dismantling its nuclear and rocket-engine testing sites, but U.S. officials have said it must take more serious disarmament steps before receiving outside concessions. Trump has indicated he may be open to holding another summit to resuscitate the talks, however. To keep expectations from getting too high, Moon’s chief of staff, Im Jong-seok, said it’s “difficult to have any optimistic outlook” for progress on denuclearization during the summit. But he said he still expects the summit to produce meaningful agreements that “fundamentally remove the danger of armed clashes and ease fears of war” between the two Koreas. South Korea last week opened a liaison office in the North’s city of Kaesong, near the Demilitarized Zone. 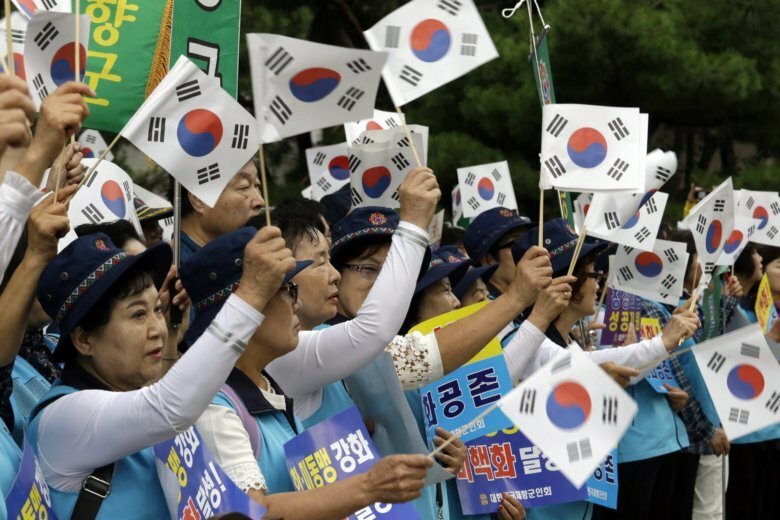 Another possible area of progress could be on a formal agreement ending the Korean War, which was halted in 1953 by what was intended to be a temporary armistice. Military officials have discussed possibly disarming a jointly controlled area at the Koreas’ shared border village, removing front-line guard posts and halting hostile acts along their sea boundary. Moon is the third South Korean leader to visit North Korea’s capital for summits. Kim Dae-jung and Roh Moo-hyun went to Pyongyang in 2000 and 2007 respectively to meet Kim’s father, Kim Jong Il. Those trips produced a slew of inter-Korean rapprochement projects, which were suspended after conservatives took power in Seoul.